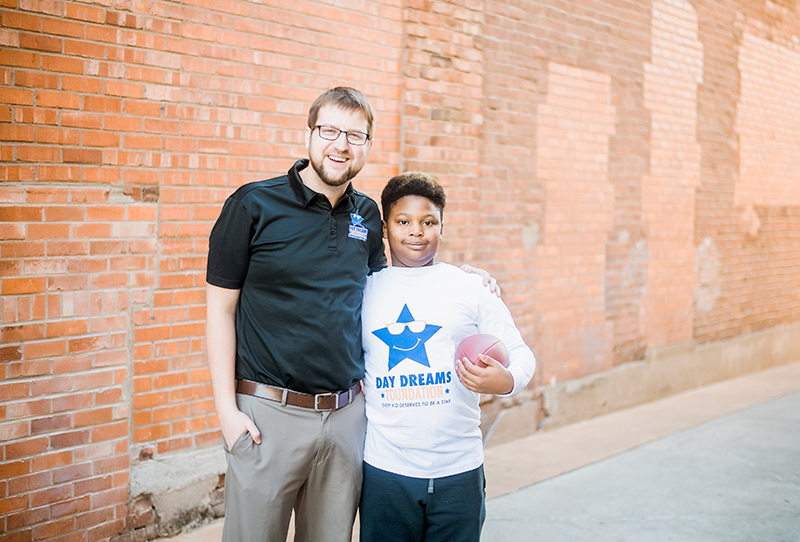 In 2014, with the help of friends, I founded the Day Dreams Foundation in order to increase access to extracurriculars for children in Columbia. I benefited tremendously from extracurriculars growing up, and I want all kids to have that chance. I hate running. I hate going to the gym. I haven't used my membership in 4 months. But, for every $100 raised, I will run a mile (to be completed by January 31). If I raise $3,100, I will register to run (*JOG*) in my first 5k (3.1 miles) ever. Day Dreams Foundation awards scholarships for extracurricular activities to children 18 and under, who demonstrate financial need. We promote healthy lifestyles, community service, goal setting, academics, teamwork, and respect for others. Our Columbia-centric organization has helped eliminate financial barriers to extracurricular activities for more than 210 local youth. We have awarded over $60,000 in activity fees and equipment costs since 2015 to allow children to pursue their passions. A successful CoMoGives campaign will allow our all-volunteer run organization to do more outreach in the community to ensure that more children have the opportunity to participate in extracurricular activities. When kids thrive, Columbia thrives. Day Dreams Foundation was live. Day Dreams Foundation shared a Page. Be Prepared to see the Great Rivers Council, Boy Scouts of America at our Youth Activities Fair on Saturday! The Great Rivers Council, Boy Scouts of America serves Scouts and Leaders across 33 counties in central and northeast Missouri. Also at the Youth Activities Fair will be the The Clark Academy of Irish Dance - Central MO! The Clark Academy of Irish Dance offers recreational and competitive lessons for ages 3 and up. CAID believes in building self-esteem and self-fulfillment of students through positive reinforcement and encouragement. They strive to provide a nurturing and communicative support system in which dancers can freely express themselves and learn "real world" life skills through the discipline of Irish Dance. Irish Dancing is coming to central Missouri with the Clark Academy of Irish Dance! Contact Annie at annie@theclarkacademy.com for details! Ummm I didn’t know there was Irish dancing in columbia. This is awesome! We're excited to announce some of the organizations you can check out at our Youth Activities Fair on Saturday! TO PROVIDE THE OPPORTUNITY IN A SAFE AND POSITIVE ENVIRONMENT FOR ATHLETES TO ACHIEVE THEIR FULL POTENTIAL THROUGH GYMNASTICS. Sometimes it can be hard to wade through all the different activities available for kids to do in Columbia - so we made it easy for you! On Saturday, April 6 we will be hosting a Youth Activities Fair. Drop by anytime between 10 a.m. to 2 p.m. at Fr. Tolton High School!